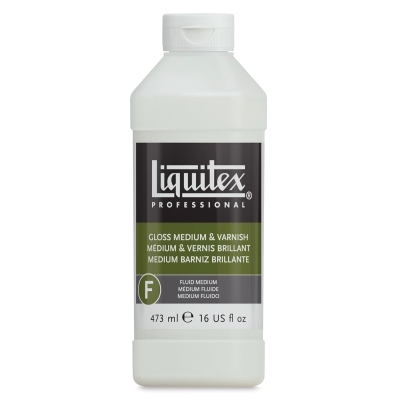 Liquitex Gloss Medium is also known as "Gloss Medium Varnish." 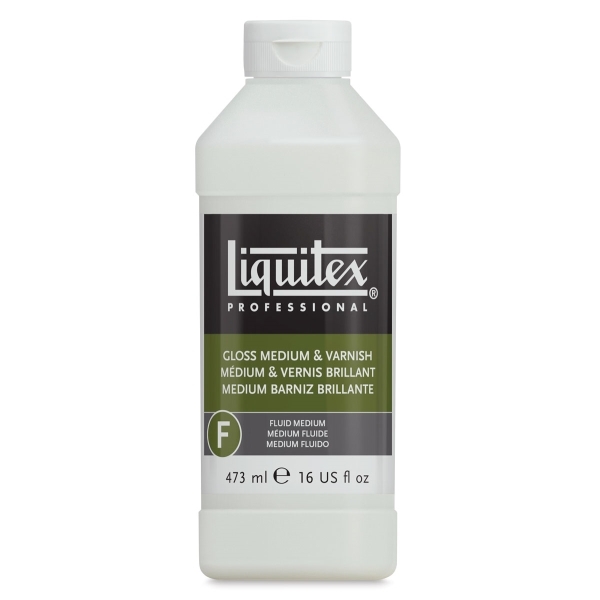 Use it as a non-removable final picture varnish where a glossy protective coat is desired, or as a painting and glazing medium. It enhances the depth of color intensity, increases transparency and gloss, eases the flow of paint, and adds flexibility and adhesion to the paint film. Translucent when wet and transparent when dry, this 100% acrylic polymer varnish is watersoluble when wet and can be thinned. Use it as an extender, a fixative, a ground, or a varnish.